Former FBI director James Comey, on a book tour to promote “A Higher Loyalty,” his scathing takedown of the Trump presidency, cited an unexpected role model Tuesday morning on “Good Morning America”: LeBron James. 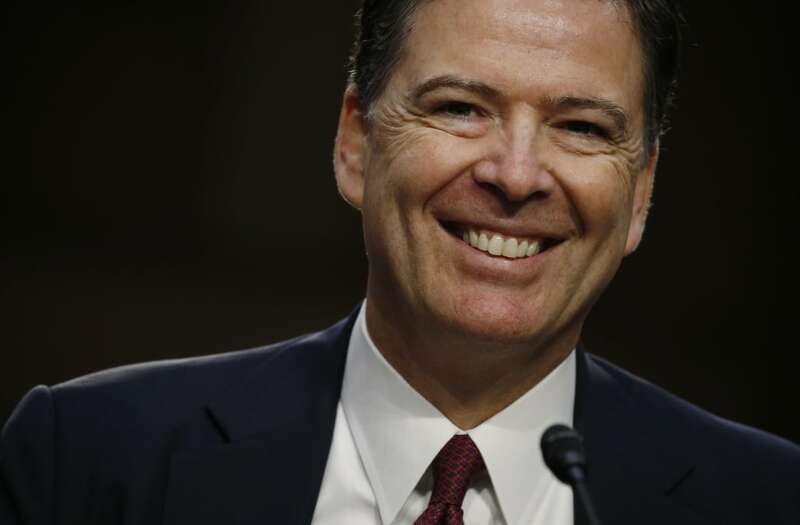 All due respect to James Harden and Steph Curry, but Comey called James “the best basketball player on Earth today,” and hinted that James’ greatness might even encompass earlier eras. But what could a basketball player have to teach the onetime head of the FBI? Glad you asked. Look, we’re fairly sure you’re not even reading this anymore, whether you’ve clicked away to a non-political post or whether you’ve already scrolled down to leave a rage-filled comment scorching Comey, Trump, James, or all of the above. But on the off chance you’re still reading, let’s just keep this non-political and note that regardless of what you think of LeBron James, you could pick worse role models than a guy who’s been the best player in his chosen profession for 15 years and continues to work to get better. Generally, when the FBI starts taking a look at you, you’ve got some concerns. But in this case, at least, it appears LeBron James is on the right side of the FBI’s ledgers. G-man fave James and the Cavaliers return to the court against Indiana Wednesday night tied 1-1 in their first-round playoff series. Meanwhile, Comey continues to spar with Trump in a series that already looks like it’s going to go the judicial equivalent of a full seven games.